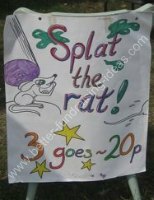 Fete Ideas Splat The Rat! 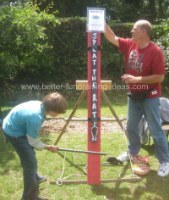 Fete Ideas like this are Splatastic! 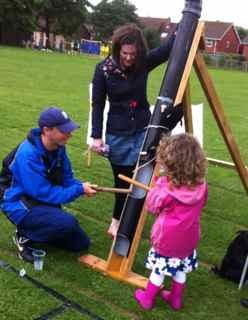 There are certain summer fair ideas that have become so much part of fete culture that we take them for granted. No-one knows quite how or why they came about. All we know is that they are always popular and help bring in the cash. Your splatting apparatus (or should that be "Splataratus"!? ) can be as fancy or as crude as you like. All you really need is a length of drainpipe about 1m long. This is attached to a sturdy board or short scaffold plank about another 75cm longer than the pipe. The rig is then stood up at a slight angle. All sorts of elaborations are possible on this basic set up. 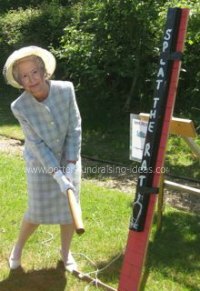 Splat the Rat by Royal Appointment! 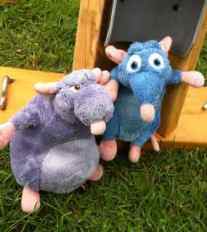 The rats are simple rodent shaped bean bags with little ratty faces sewn on along with whiskers and a tail. They obviously need to be heavy enough to drop nicely and quite strongly made due to the demands of their trade. 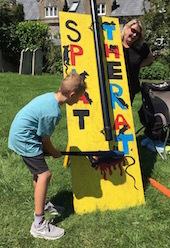 Spending half your time being splatted is not the the job for fancy rats or those coming apart at the seams! The rat dropper drops the rats one after the other down the drainpipe. 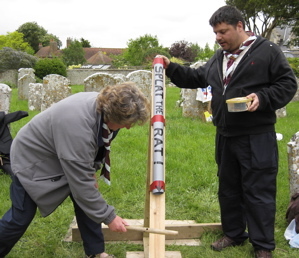 Contestants have to try to judge when a rat is coming and splat it with a stick or bat as it drops out of the pipe pinning it against the board. Why do people like doing it. ?......................Because its fun! 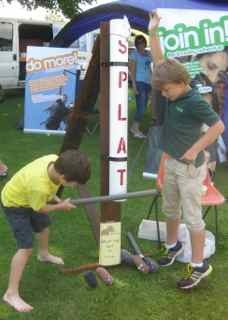 And a look at your takings at the end of the day will make you glad that Splat The Rat was one idea you decided you just couldn't be without!